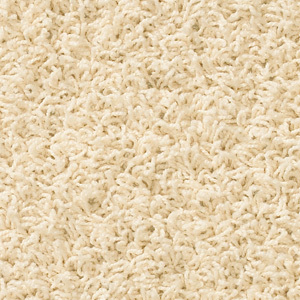 Best Carpet Choice For A Baby’s Room? We are going to be having a baby in two months and with that, we are building up a nursery from scratch. I want everything to be as perfect as possible. We have painted the nursery and used a no VOC paint (thanks to your articles). But what about carpet? I have heard that some carpet fibers are better than others in terms of the VOC’s that they can give off and this freaks me out! Samantha, you’re absolutely right in that there are some carpet fibers that are better than others in terms of VOCs (Volatile Organic Compounds). What you want to look for are carpets with the Carpet and Rug Institutes (CRI) “Green Label Plus” stamp. This label can be found on the back of carpet samples and it will let you know that you’ve chosen a very low VOC carpet. In fact CRI’s Green Label Plus has so few VOCs that it exceeds the green building requirements dictated by California schools. We all know how strict California is compared to the rest of the country so with ratings like that you can be assured that the new carpet you are putting in your nursery is safe for your baby. You might want to consider looking at Dupont Sorona or Beaulieu’s Bliss. These two carpets are both Green Label Plus rated. A percentage of Sorona is made out of corn and recycled materials. Beaulieu’s Bliss (also known as Puresque) has extra odor eliminators built right into the carpet. No matter what style or color carpet you choose rest assures that as long as you stick to Green Label Plus you will choose a healthy carpet for your new bundle of joy’s nursery! And congratulations!